I had the opportunity to go to eBays ecomm program and I want to thank those who were a part of my invitation. And like everyone else, waited patiently for the announcement and I knew my business had to adjust again if I wanted to continue to sell on eBay. As soon as ebay announced the changes that they were going to implement in the next few months, all negative emotions poured out with eBays top sellers. Thoughout the day and evening I listened and observed, the complaints that all sellers had. Speaking to over 50 businesses, only 1 (an IMA member) said the changes would not hurt him. His DSR was so good in shipping that he will receive the 15% rebate on his FVF and this covered his additional fees. IMA Conference Registration Now Open! 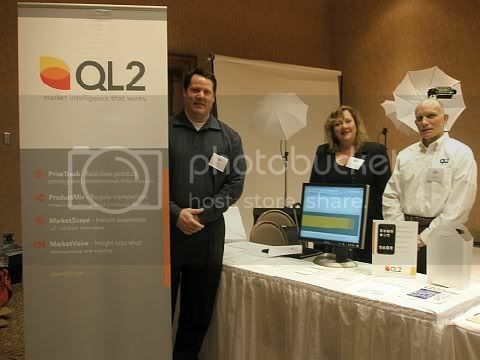 The Internet Merchants Association (IMA) is hosting its second annual conference for internet merchants in Las Vegas March 2008. The conference begins March 03, 2008 and runs through March 05, 2008. This leading industry conference is presented in conjunction with the ASD/AMD Trade Shows. The opening keynote speaker for this year’s IMA conference is Philipp Justus, Senior Vice President Auctions, eBay Inc. This industry-leading event will include the who’s who in internet commerce! Google will be presenting effective Adwords campaigns. Ebay and Amazon representatives will be there. Scott Wingo, CEO of Channel Advisor will talk about making comparison shopping engines (CSE) work for you. IMA will have educational sessions on SEO, Branding, Keywords, Front End systems, Back End Systems, Proper Advertising, building customer loyalty and other ways to capture and help grow your internet business.